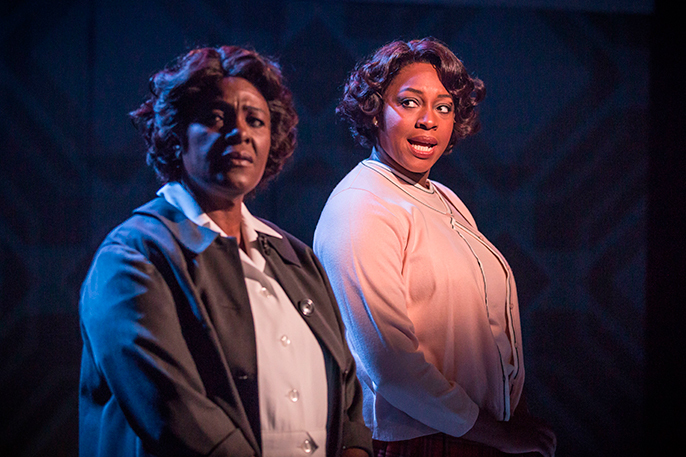 Caroline, Or Change is an Olivier Award-winning musical which mixes blues, soul, Motown, classical music and Jewish folk songs. It creates a sensory departure from the audience members’ everyday life into a place which tells its story through singing machinery, a watchful moon and characters struggling to sense of their lives. At its core Caroline, Or Change is about choices – how we choose to respond to change, who we choose to be, the Caroline who is standing still and so feels like she is going backwards or drowning. Or the person who chooses change and embraces going through the pain of becoming someone new, someone happier. 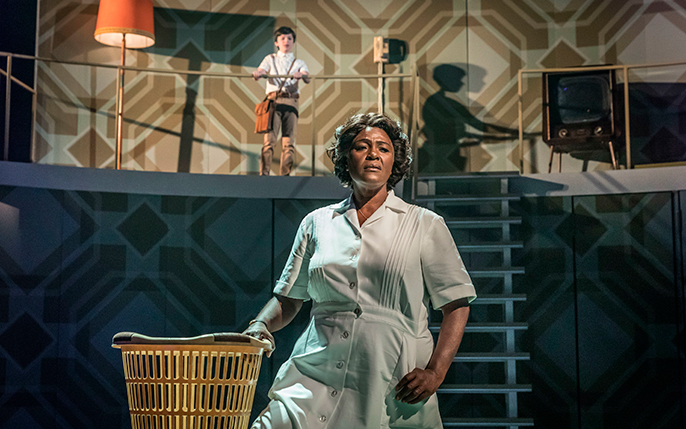 Caroline, Or Change is set in a period of massive change 1963 or 4, Civil Rights activism, shifts in mindsets were taking place and in this production we see the amazing Sharon D. Clarke struggling to address the changes happening in her mind; her attitude to the status quo being forced upon her by her daughter Emmy, energetically played by Abiona Omonua or forced to see what change could look like for her through her friend Dotty (Nicola Hughes) who is grasping change and seeking the opportunities within. All this turbulence is set in the Southern Louisiana home of the Kutchner’s who are going through their own emotional changes which have a particular impact on the son of the house, young Noah. Through them we observe the role of the black maid as servant but also get an insight into the peculiar position they would hold as part, yet separate from the family. Racial politics features prominently and the unforeseen circumstances that arise when what begins as a well-meaning life lesson for Noah by his step-mother leads to pain, confusion and significant changes for all involved. 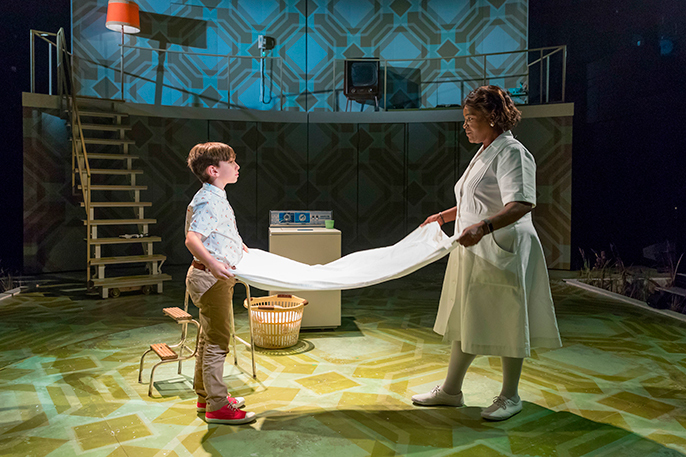 Caroline, Or Change is a musical with quirks and imagination. 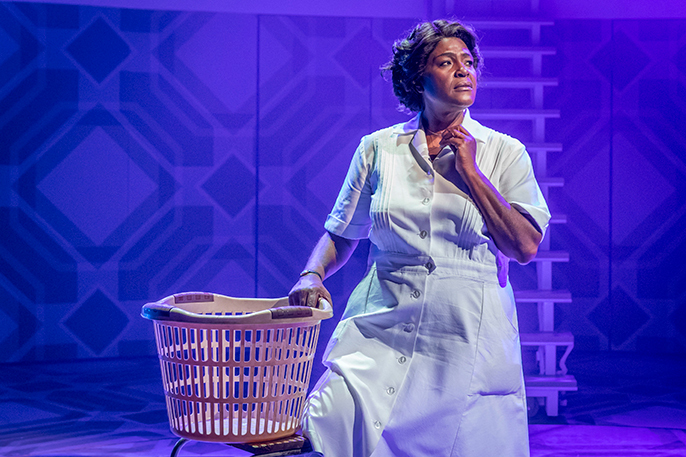 There were songs that evoked a respectful, transported silence that only a voice so filled with emotion and feeling can create, Sharon D. Clarke’s Lot’s wife definitely did this. Caroline, Or Change is a production that has a message for all audiences be it racial dynamics, self-discovery, empathy and the challenges that come when faced with the decision to stay as and where we are or be brave and embrace change. This production is well worth a visit to Chichester and hopefully the production will find its way to London to connect with even more audiences who would thoroughly enjoy the Caroline, Or Change experience.